Stop dreaming! And get the dream job of your dreams. But not in your dreams – in your real life! The dream job of your future can become a dream reality NOW! 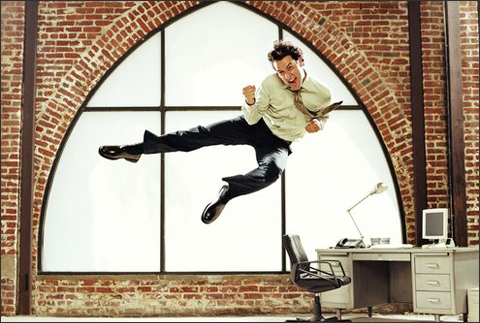 Get out of your dreams, get into your dream career! Live your dream! Dream dream dream! Why must it all be so dreamy? Is this the collective societal message that we really want to convey to desperate job seekers? Is it a bad idea to equate the terms “dream job” and “ideal job?” Why are we so fixated on career perfection? I’m generally a large fan of nuance. One of the benefits for me of going through a counselling psychology degree is the amount of self-reflection that’s encouraged. Accordingly, I’ve discovered through my own process self-reflection that I often find the most interest in details – meanings, subtleties, themes, etc. Naturally, semantics can be a soapbox I find myself standing on from time to time. In a society consumed more by a “live to work” than a “work to live” mentality, it’s an important question. If you had asked me as a child what I wanted to be when I grew up, you’d get some pretty funny answers. Going through adolescence didn’t clear anything up, either. Yikes. Why must these kinds of ads exist? Perhaps more importantly, what is the underlying reason that ad campaigns like this seem to work? Don’t even get me started on stuff like this. 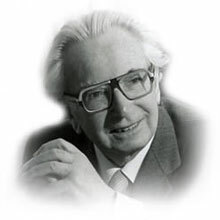 Someone who may be able to shed some light on this issue, indirectly, is the existentialist, Nazi prison camp surviror, and founder of logotherapy: Viktor E. Frankl. In his book, “Man’s Search For Meaning,” Frankl tells the terrible story of his experiences in prison camps and how these experiences helped to shape his unique theory of psychotherapy. He discusses the question: What is the meaning of life? Is it the pursuit of happiness? No, says Frankl. The more vigorously we pursue happiness, the more effectively it eludes us. True happiness is actually a byproduct. It occurs as a result of meaningful events or activities in our lives. We can’t set out and decide to become happier. All we can really do is decide to live authentically and meaningfully, and happiness should inevitably result. As I’ve discussed before, careers are often inextricably linked to happiness and overall wellness. My argument here is that, like happiness, you’re just not able to set out and hunt down that ONE job that, for you, soars above all others. That ONE job for which you wake up in the morning excited to go to work. That ONE job that never feels like work, regardless of the number of hours you put in. I believe that whatever your efforts, trying to find that job, for those reasons, is a venture that is doomed to failure from the start. If you are constantly seeking the ‘perfect job,’ you will never fully appreciate the one you have. There’s no way of knowing what’s going to happen in the future that might change your mind. Not 10 minutes from now and definitely not 10 years from now. There is no “dream job” waiting for you at the end of the employment rainbow. Nothing will fall in your lap. Doing nothing means nothing comes of it. Your ‘dream job’ today might not be so dreamy a month, a year, 10 years from now. And most importantly, you are likely to have MANY jobs over the course of your life that you really like doing. Maybe you even LOVE doing them, if you stop to think about it.